Looking beautiful is everyone's priority. Some of the best methods are the natural ones. Pedicures and manicures are two very essential treatments. A steam bath helps to open up the pores of your skin. Beauty is what makes the world go round, and with such great demand for everything beautiful, humans are not far. Women are in the race to look beautiful round the clock, but are you doing the right things? Beauty knows no age, especially in the modern times. Now you can opt for the best treatments for your skin. It has never been easier to look sixteen at sixty! Here we present to you the 10 most popular beauty treatments creating quite the flutter! 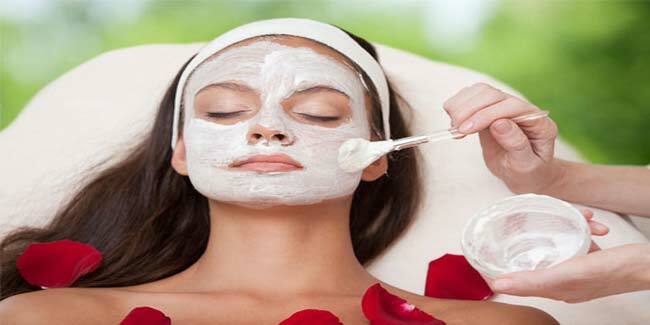 A range of facials and massages are widely practiced by branded salons that treat wrinkles and freckles with the help of crushed pearls and various skin tightening agents to firm the loose and saggy muscles of the skin. Do mud bath by soaking your body in minerals and salts and feel the softness return to your skin! Relax in a pool of mud which is especially treated to give a glow to your skin. Botox injections are the most popular form of beauty treatments that make the skin look firmer and younger. One should always approach trusted practitioners for this. Botox is also the costliest form of treatment which is painful to a great extent, but women who know exactly what they are in for, opt for Botox. Waxing the body parts is another form of beauty treatment people undertake to look beautiful. The hair follicles are pulled out through the application of hot wax on skin. This makes the skin look flawless and smooth. Experience the most lavish form of beauty treatments for women offered by select spa chains nationally and internationally. Spas ranging from body polishing to body massages help the strained muscles of the body to relax and allow the skin to breathe. Spas have been broadly categorised into day wellness spas and quick spa sessions that you can enjoy in malls while shopping. Pedicures and manicures help your cuticles and nails stay in shape apart from making your hands and feet look clean. Steam baths top the list as they are the easiest way to soften the skin. But one should be cautious about exposing the skin to steam excessively or frequently. The skin might feel dry if steam baths are taken for longer periods of time. Otherwise, steam baths clean the pores of the body. Wraps such as chocolate wraps and seaweed wraps detoxify the skin of the body effectively restoring lost sheen. People use several face packs at home for varied reasons namely; skin tightening, de-tanning, rejuvenation, pimple removal, and also to combat oily skin. Gloss hair treatments restore the sheen and glow in your hair. This particular hair treatment also makes the hair bouncy and soft from the roots to the tips.